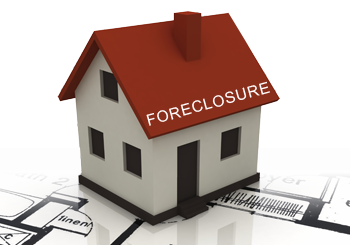 Foreclosed Homes in Ocala FL, also called Real Estate Owned (REO) are properties that are owned by the bank or lender as a result of the previous owner defaulting on the loan. If you are interested in buying Foreclosed Homes in the Ocala FL area, can be a great option as they tend to be more affordable than traditional home purchases. With many Ocala foreclosures in the area, now is a good time to buy a home at 30% to 50% below market value. How Can You Buy Foreclosed Homes in Ocala FL? There are two common ways of buying Foreclosed Homes in Ocala FL, using a real estate agent or though public auction. When purchasing a foreclosed home, you must keep in mind that the negotiation process of the purchase price can take longer that it would in a traditional home purchase. The reason for this is that when purchasing Foreclosed Homes, the process may require several levels of approval. What are some considerations when looking for Foreclosed Homes in Ocala Fl? Property Condition: many Ocala Florida homes that are in foreclosure will need work. As the bank has not maintained the property or the home may have been vacant for a long time, expect to have to do repairs, these can be anything from small touch ups to complete remodels. Term Flexibility: in general, banks are not flexible when it comes terms, conditions or repairs. As a home buyer you will be required to accept the banks terms and conditions. For this reason, it is critical to negotiate the right price when purchasing a homes in Ocala FL. Home Inspection: when buying any type of property, a home inspection is a good idea, however this is particularly true for foreclosed homes, due to the lack of maintenance or information on the property prior to acquisition; its possible there will be no records that will appraise the home’s true condition. Most foreclosed homes in Ocala FL are sold ‘as is’, making the buyer responsible for any necessary repairs or improvements. When considering a foreclosed home, ensure a property inspection to determine the condition of the home as well as the estimated cost of repairs, this process will help you determine a reasonable offer. Purchase foreclosed homes through a real estate agent: when purchasing Foreclosed homes in Ocala Fl, it is best to work with a real estate agent that has experience with REO properties, as the agent will understand the complexities of the foreclosure market. In this case it is best to seek the guidance of a professional who has experience with these types of properties in Ocala FL. Understand what it will cost you to repair the home: minor repairs such as painting are not a big issue when it comes to purchasing a foreclosed home, however your biggest concern should not be the cosmetics of the house, but those repairs that you can’t see. Ensure you have a proper inspection of the home in order to understand what it will cost you to make the house livable. Look for similar homes: in order to determine a fair offer for the house, you must understand what properties in the same location and in similar conditions are selling for. Make sure you look for ‘comps’ and do your research before you determine an offer. 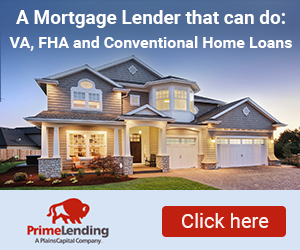 Understand the financing restrictions: for foreclosed homes in Ocala FL, you must keep in mind that many banks will not lend you the money to purchase a house that is in terrible conditions. Ocala FL is a city located in Marion County, near many of the main attractions of the State of Florida. There are many reasons to be interested in foreclosed homes in Ocala Fl; natural springs, oak trees and horse farms provide this city with a beautiful atmosphere that combines southern charm with natural beauty. The city of Ocala has an area of 38.63 square miles, all land. Ocala Fl is the main city of the Ocala Metropolitan Statistical Area. It is located in North Central Florida; nearby cities include Belleview, Reddick, For Mc Coy, Silver Springs and McIntosh. An interesting fact for those looking for foreclosed homes in Ocala Fl is that the Greater Ocala Area has had one of the highest growth rates in the country for a city its size in the past decades. Ocala FL has become a popular tourist attraction due to the many attractions and things to do nearby. Those how are interested in foreclosed homes in Ocala Fl can enjoy the beauty of springs, clear water, near forests, diverse wildlife and outdoor activities that this city and its surroundings have to offer. If you’re looking for foreclosed homes for sale in Ocala FL you should be aware of the multiple attractions this location has to offer. Ocala National Forest: with more than 600 rivers, lakes and springs, the Ocala National Forest is the southernmost forest in the continental USA. Popular activities include swimming, snorkeling and camping. Silver Springs State Park: according to Florida State Parks official website, Silver Springs State Park combines historic charm with the beauty of crystal clear water. Popular activities include canoeing, kayaking, camping and wildlife viewing. Additionally the famous glass bottom boats provide visitors with a unique view of that can be found under the surface at Silver Springs. Juniper Springs: one of the most popular campgrounds in the Ocala National Forest, Juniper Springs offers beautiful springs under deep shades. Popular Activities include swimming, picnicking, canoeing, snorkeling, hiking, and wildlife viewing. Wild Waters: a small park located in Silver Springs, FL. Wild Waters is a popular attraction for tourist and local residents alike. It offers water attractions, picnic areas, a sand volleyball court and much more.